Watch out... Printed pants are on the prowl, and these are the kind of pants that make you want to turn up your ipod and have a party of one. Not for the faint of fashion, silky materials and tapered legs draw attention to your lower half, like it or not. My favorite way to incorporate them into your wardrobe is with a solid tee, leather jacket and major heels. Just beware, even though we women may love them, these are more Man Reppeler than hunk catcher. I love this trend! I especially love the Paka pants you picked out! We just discovered your blog and thank you for the follow on Twitter. Printed pants are always so fun to play with and it can be a little intimidating at times but it's all about finding balance. Great post! Hope you had a great Monday! iv actually been meaning to hit up a thrift store to see if they had any fun patterns!!! its crazy how i found your blog, right when i was thinking of the same trend! i love printed pants.. i bought mine last year at zara & i can tell .. they are one of the most comfortable trousers i've ever worn. would be happy if you took a look at my blog & tell me what you think! 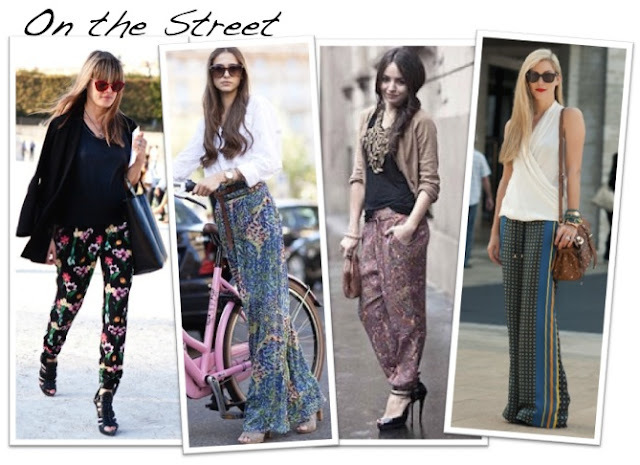 I love printed pants!! Nice post! Definitely agree that they need to be paired with white/neutrals to be pulled off. They can really look chic if worn well! 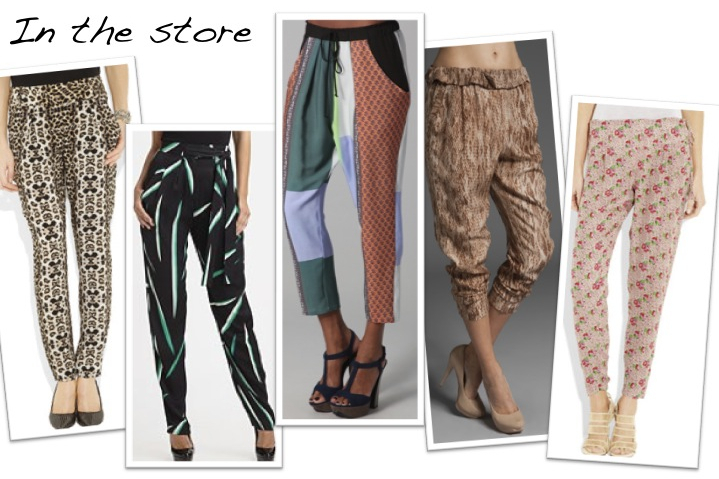 Would love to own the Clover Canyon pants!! arent floral pants such a statement! love the subtle prints! Love printed pants! Wish I could find a flattering pair that I like. Good eye! i have been noticing this as well!! over all your blog is DOPE!! keep up the awesome look! !